This is one of the most important investments that you can make in your business or organization. Responsive Web Design is today's reality of how people make business connections and transactions on a daily basis. Perhaps it is time to take your online presence to the next level. It's shocking how many people we talk with who are considering having some distant, "expert" relative build their online presence. Shocking. This is your business! Your life! It's why you get up in the morning. Your dreams hang in the balance, dependent on your success or failure. This is . 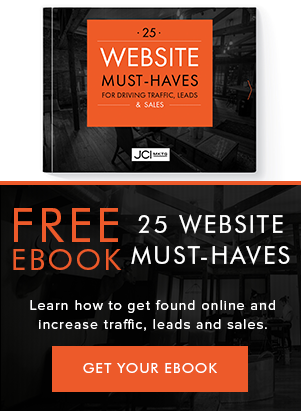 Your website is the last thing you should pinch pennies on. The same "don't trust your brother's best friend's nephew" point can be extended to lower-level marketing/web design companies or the smiley guy from India who does cheap web design and keeps emailing you. Your web designer needs to not only be a business person with an impressive track record but understand and live in the culture in which you are doing business. At JCI, we make sure the website we build for our clients 'gets the job done', and in the end, pays for itself and then some. We are personally and emotionally invested in each client we work with. We want to, and will, see you win. How often per day that the average smartphone user checks their phone. of people say that if a site didn't work well on their smartphones, it made them feel like the company didn't care about their business. So many clients-to-be ask us, "So, what's the process like?" We understand how they're feeling. It's an intimidating and daunting thought to most people...going through the process of building a website is up there with having a tooth pulled. This area though, the process, might actually be the area where we at JCI get the most positive reviews and feedback. Over the years, we have developed a system of communication with each client that makes it so simple, so digestible, and removes all the dread out of the experience. Roughly half of our staff at JCI is actually in the strategic, communication, "idea engine" side of the website process, with actual designers and developers making up the other half. This contrasts greatly with most other firms who have only one, if any, business advisor or professional consultant on staff to help with the process. Oh, here at JCI, our advisors' and consultants' services are included in the price of each and every website. We go well above and beyond the standard web-design process to make sure every business we serve is a success. There are dozens and dozens of platforms that your next website could be built on, each with strengths and weaknesses. The platform that is chosen is nearly as important as the expertise of the design group you select. So many people in our industry are still building on Wordpress, which was great five years ago (we have built many, many Wordpress sites). But nowadays, it's almost never the right option. In the past two years, web technology has accelerated rapidly on both the 'front' and 'back' ends of your website. It's no longer just about what your site's visitors see, but what you deal with as you go about owning your website through the years as you grow your business. We're happy to talk with you and aid this very important choice. The right website can change the destiny of your company.